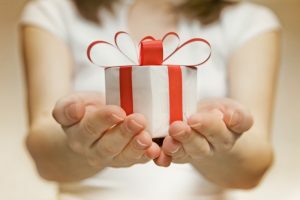 Should You Increase Your Gifts Given to Your Children? When thinking about passing on assets to future generations, a common question asked by many people is whether or not they should increase the amount that is passed on to their loved ones. With the passage of the tax cuts and Jobs Act, the lifetime exemption for estate taxes doubles to $11.2 million for individuals and $22.4 million for married couples. How you choose to pass things on to your loved ones can make things easier for you as well as them. The lifetime gift tax exemption has also doubled to these same tax amounts. Gifting opportunities in light of these new regulations have to do largely with timing issues and magnitude. The previous increases in these laws have been much more gradual, making it more difficult for people to adapt their gift tax plans now. Consider the impact of a gift to your children on their lives, particularly when you intend to make the gift outright. It is much easier for many people to pass on an asset or to write a check than to have a serious conversation about the various responsibilities that come with receiving wealth. There may be advanced issues in your unique family situation that should prompt you to contact an attorney about estate planning tools. These could include spendthrift children and addiction issues.